LiteConsole XPRS Foldable Mobile DJ Stand In colours now in!! Brand New DJ LiteConsole XPRS In Black & White in Stock!!! The front panel can be laser cut with your corporate logo on request.The front panel can also be removed to house a 50" plasma. Lighting packages will also be available. Also it has been confirmed that the stand will come with 3 storage bags to add that extra protection when traveling. 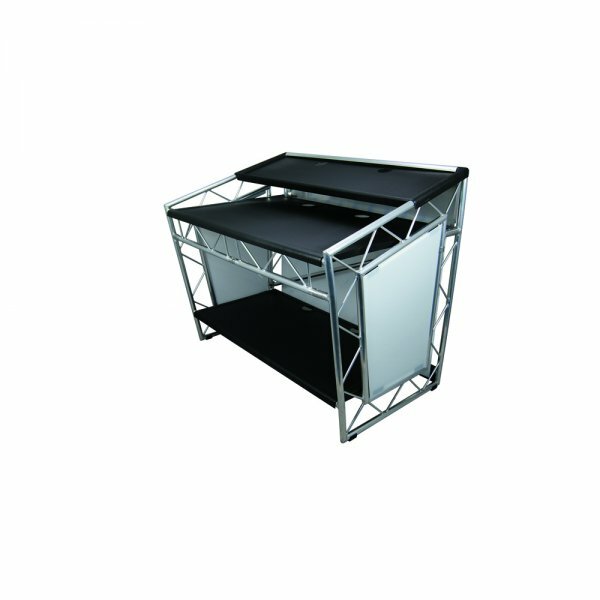 http://www.youtube.com/watch?v=jD-8BMuAktMLiteConsole XPRS Foldable Mobile DJ Stand In colours now in stock!!! !